The 1984 Olympics design program was a massive environmental undertaking, documented in this issue of Design Quarterly (No. 127) designed by Deborah Sussman's office and published by the MIT Press. This was where we all heard the word Sonotube for the first time! Festive Federalism, a term coined to reflect the graphics program for the 1984 Los Angeles Olympics, is reflected here in the color palette and an image of one of the many dimensional stars located throughout the city. This 36 page book tells the story behind the program, acknowledges the designers who worked for the many design firms who participated, and is full of photos from that great summer. 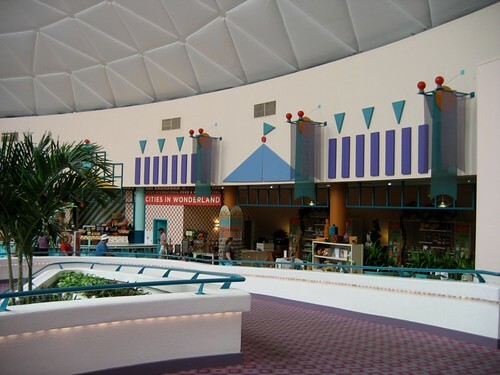 Disney borrowed the look of the 1984 Olympics and plunked it down inside a golden dome in Central Florida for the Wonders of Life pavilion. Gigi McGee, who had worked on the Olympics project, consulted at Imagineering for this project. 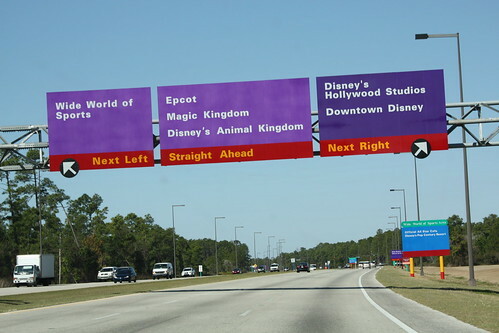 Disney Connection: Walt Disney World property road signage. 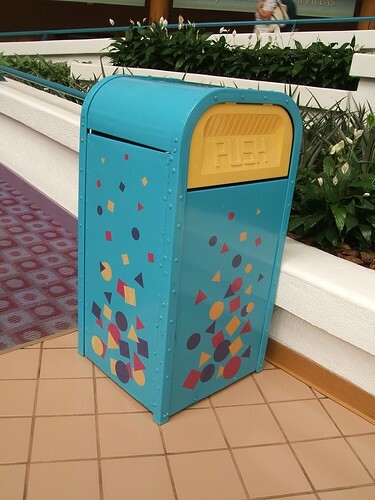 The property-wide signage at Walt Disney World was designed in the '90's by Sussman / Prejza & Co., who led the 1984 Olympic graphic design program along with The Jerde Partnership Inc.